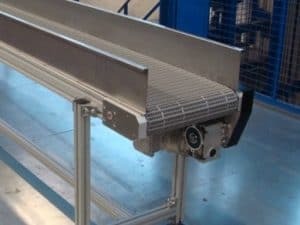 As with the fabric belt conveyors, NIKAI SYSTEMS offers a wide range of plastic modular belt conveyors that can be adjusted to transport work pieces of any type of form and weight. The conveyors can also be adapted to fit into physical workspaces where the desired equipment needs to be installed. 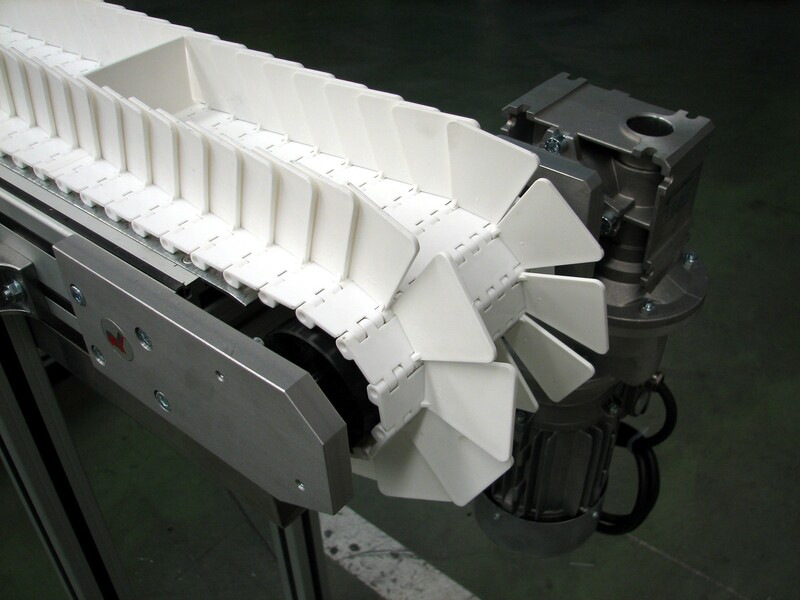 These types of conveyors are typically used the following sectors: food, packaging, bottling, automobile, etc. 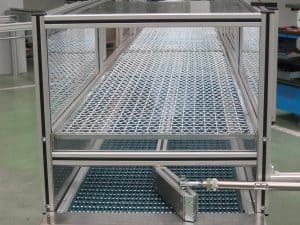 For the food sector, these modular belts must comply with FDA regulations. 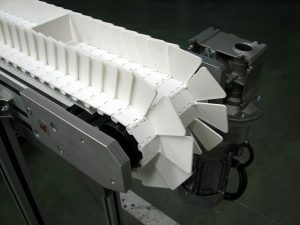 Unlike regular fabric belt conveyors, for plastic modular conveyors the dragging of the belt is not realized by friction but rather the traction of the pinion. Thus the tensions of the belts are lower and the adjustments are much easier and quicker. 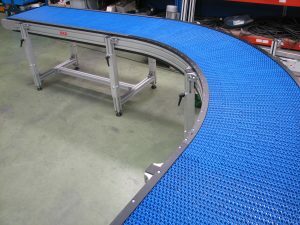 Pins are used to join the different modules that make up the modular belt with the advantage that they themselves continue the movement of the work pieces. 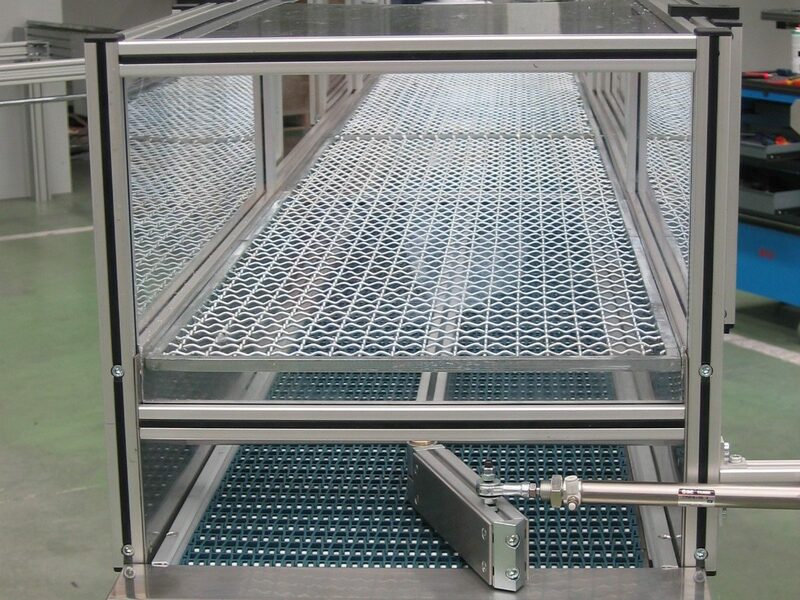 Depending on the work pieces to transport, polyoxymethylen (POM), polypropylene or polyethylene modular belts are available along with accessories such as lateral guides, surfaces adherents for sloping, or surfaces anti-adherents for correct product accumulation. 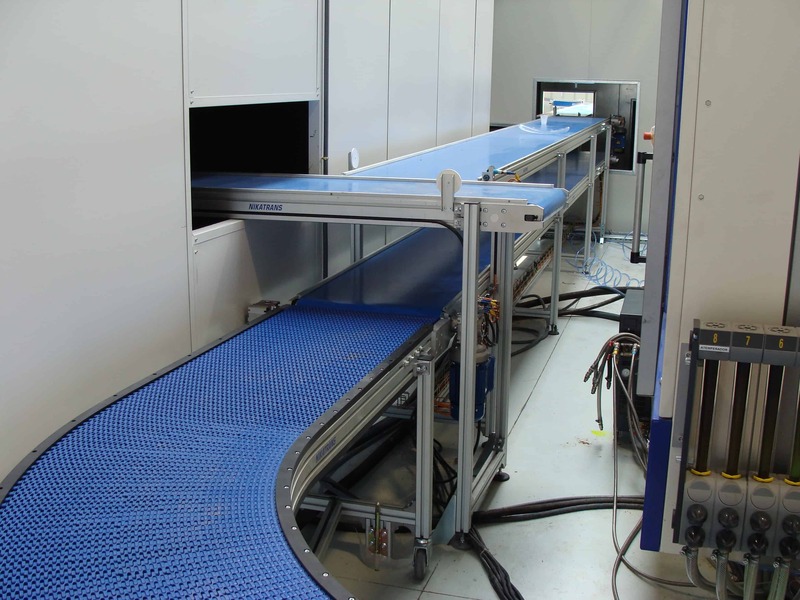 For the processes where airflow, drying or thawing of products is needed, modular belts can be used with different degrees of opening. For standard transport applications, totally closed modular belts are used.